Oil of Oregano can be applied directly onto the skin to treat itches, skin infections, and irritated gums, but only if it has been diluted. Always follow the instructions on your particular bottle before applying topically onto the skin, since highly concentrated oils may first need to be mixed with Olive Oil or Coconut Oil before application (usually one teaspoon of Olive Oil or Coconut Oil per one drop of Oil of Oregano). 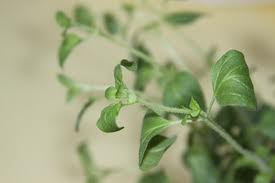 The high concentrations of thymol and carvacrol in Oil of Oregano have been shown to calm upset stomachs and digestion. A quick home remedy for mild indigestion is to drink a glass of milk or juice that is mixed with 2 or 3 drops of the oregano oil. Oil of Oregano has long been regarded as a natural remedy for sinus or lung congestion. Simply mix 2 or 3 drops of oil with juice, and drink this daily. Improvements are normally noticed within 3-5 days. orange juice) and you should notice results within a few hours. Repeat this once per day for up to 5 days until the symptoms are gone. What are the Side Effects of Oil of Oregano?